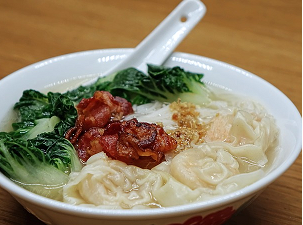 Wonton, wantan, wanton, wuntun or 餛飩 in traditional Chinese is a type of dumpling, a very thin dough usually filled with minced pork, commonly found in Chinese cuisine. (Wikipedia). We know now what is it, but how can we eat it? Cold or hot? Maybe you are asking yourselves why we inquire this question in a blog about internationalization and it is very simple: If the consumer does not know how to eat a food, what chance of selling it do we have? Almost non-existent. Could you imagine a hot white wine? And a cold txistorra? I imagine you are thinking in a lot of good examples. I hope these images make it clearer. 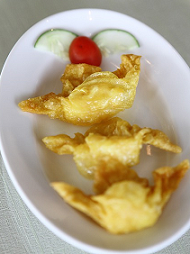 You can see at a glance that wonton is usually consumed fried or cooked in soups. Having said this, you are now ready to buy and taste it. If the consumer knows the recipes and how a food product can be eaten, you will have many more opportunities of success. Next step: When you get to assimilate your product to the local culinary culture in the destination country. I do not think I need to explain the result! Imagination, innovation, fusion cuisine… everything you can think in come later. How is this achieved? Very simple, with CONTENT MARKETING. If you forgive me the liberty of taking a Christmas break, I end up here today. In two weeks the VIPEX Consulting team will offer you some practical ideas pointed to your product to succeed. ‹ El wantán, ¿frío o caliente?